The problem with stray dogs could be solved in 2-3 years, but only if measures are implemented in all Bulgarian municipalities, according to the mayor of Sofia, Yordanka Fandakova. 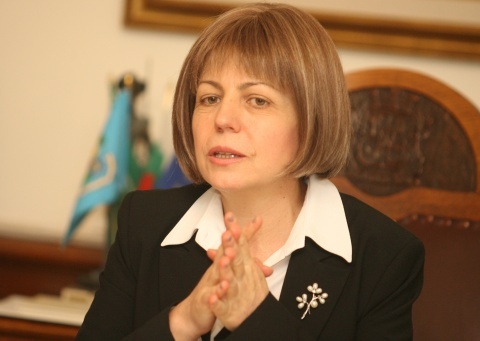 In an interview for the Bulgarian Darik Radio on Tuesday, she said that the problem is serious in the whole country, but the Sofia Municipality has one of the most advanced programs, focused on the complex solution. "The problem with stray dogs is one of the most difficult to solve because it concerns living creatures. It would take efforts and patience because the problem is serious in the whole country," Fandakova said. In her words, the program provides free registration and castration of dogs, as a way to stimulate Sofia residents to register their dogs. "We will also propose to the Municipal Council to dismiss the tax on dogs for 2011. Many stray dogs used to be pets, or were offspring of pets. People throw their dogs on the streets every day because they cannot take care of them," the mayor said. She pointed out that the teams responsible for catching stray dogs in Sofia have doubled and that all dog shelters are obliged to conduct castration. Fandakova presented the idea for several new dog shelter. "Last year we opened the biggest shelter in Sofia. We are working on four more projects for this year. In this way, we will increase the number of dogs that we shelter. Hopefully, the number of adopted dogs will also increase, as last year they were 500," shesaid, adding that mostly foreigners adopt dogs and then leave the country. The mayor has also proposed a measure that forbids people to adopt stray dogs that are not in shelters. In her words, often when there is a signal for aggressive dog, it appears to be adopted, but it lives on the streets. Fandakova expressed hope that her proposal will be supported, so that people know that when an animal is adopted, it is raised at home, while if it lives on the street, it is a responsibility of the municipality. According to data presented by the Sofia mayor, the number of stray dogs in the Bulgarian capital have decreased from 20 000 to 10 000. "But this is only statistics and it serves the leaders who have to make decisions. Even if there is one stray dog and it scares one child, this is a problem for me," Fandakova said.